Katy Guillen, like any blues musician who’s worth her salt, has spent years carving her teeth in her local blues scene (for Katy Guillen, local is the Kansas city area). And, like any musician with a love and respect for her craft, Guillen draws from a wide array of influences and flaunts it. And, like any artist with something valuable to share, Guillen finds a way to let herself and her vision bleed through the bells and whistles. On Katy Guillen & The Girls’ first full-length release, the trio does all of this without losing track of what may well be their highest priority – penning catchy, rocking songs with strong blues backbones. The southern influence on Katy Guillen & The Girls might be where some of its poppier elements come from; “Think Twice” and “If You Were Gone” both lean in country music’s direction. The whisky-drenched tunes don’t stray too far away from The Girls’ leaner cuts, however; “If You Were Gone” is followed by the driving “Don’t Turn Your Back” and the transition feels smooth. And, while there might not be anything particularly aggressive on this record, the driving songs create weight with a particular sort of subtlety – take the sunstroke-laden “Old Best Friend,” which hits a line so fine you’ll be unable to tell if you feel oppressed or excited while listening to it. The first half of this record’s highest point, however, might just be the catchy “Woke Up In Spain.” There’s an undeniable west coast sound on this cut – a little surf, a little garage – constructed with a pulsing rhythm and Guillen’s infectious guitar hook. “Woke Up In Spain” is trumped only by the tracklist’s penultimate title, “The Race.” With a climbing bassline and a few strange, seemingly disharmonic chords, “The Race” packs a lot into one track, making this one a song that offers more on each listen. Katy Guillen & The Girls have managed to throw together a solid debut record that shows off their ambition and their versatility. 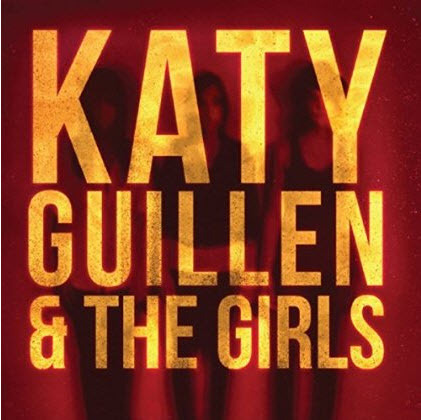 Katy Guillen & The Girls is an album that shows a band that absolutely knows that they’re capable of becoming major players in the blues scene. This certainly isn’t their White Album, but it might be their Rubber Soul. Pick up this album and keep an eye on Katy Guillen & The Girls.